For this, the 76th anniversary of the Battle of Midway, I had in mind the sixth of my "What If?" series, in this case what might have occurred if the Japanese submarine picket line had actually gotten into position on time, instead of just doing the submarine equivalent of sauntering, thus letting the US carriers sail without notice. The catastrophic error that took mu/mee.nu down on Sunday put paid to that idea, alas. This left me scrambling for ideas, and to be honest I haven't come up with any. So instead, here's the best (only?) song about the battle of Midway I've ever heard. Footage is from two Japanese feature films, *The Admiral*, about Yamamoto, and *The Eternal Zero*. I've actually seen *Eternal Zero*... unsubbed. Honestly had a problem figuring out what was going on. Looked fantastic though. One bit of good news I recently discovered: a new Midway movie is in production, filming beginning in August. Fingers crossed, we'll finally see a **good** film about this rich topic, as opposed to that late '70s ball of dreck we've currently got. I rewatched *Midway* two Saturdays ago... it was on SUNDANCE or some channel like that... and I kept saying "that's wrong", "that's wrong too", "that's a Hellcat", "why does that Japanese carrier have an angled flight deck? ", and so on and so forth. If anybody had been watching it with me, I'm not sure I would have lived through it... they'd beat me to death with my own cane just to shut me up. 1 But the question is, at what point would they have beat you with your own cane? Wait, never mind... it would be at the midway point, of course. 2 World of Warships had a map of the naval action on their news page commemorating the date. The maneuvering of the ships is just mad. Got a toughie for y'all today! As usual, no image searching. I can't stop you from doing it, but you'll have to live with it on your conscience forever. You get one guess, and one guess only, so make it count. Winners are determined by me, my decision is final, so don't push it, 'k? The winner gets his or her very own blog post on a topic of their choosing (exceptions: pr0n, politics, and religion). CTX, FDM, if either of you are still around, you're clear to guess! Let's see how good you guys really are! Is there a bigger money sink than sunken warship hunting? Think about it... you're looking for something relatively small in a very very big ocean when you have only the most general of ideas where to find your quarry, it likely traveled some distance after it went under the waves, making an uncertain search area even larger... oh, and it's at the bottom of an ocean. A long, long way down. It often takes years of searching and lots of tenuous funding to find a ship, a discovery that will excite some historians, ex-crew members, and maybe some media outlets looking for something interesting to report on when there's a slow news day. Which is why all of us historians of the Pacific War, amateur and pro alike, should stop for a moment and give thanks that Paul Allen, co-founder of Microsoft and the 46th richest person in the world with a net worth of more than $21 billion, seems to be willing to burn his money to go sunken warship hunting. Back in 2015 I mentioned his success in finding the Mushashi. He's tallied a number of other finds since then, the USS Ward and USS Indianapolis primary among them. Until today, when he nailed a big one indeed. The USS Lexington (CV-2) was technically the US Navy's second full-sized aircraft carrier, with her sister ship USS Saratoga (CV-3) being completed a month before her. She was commissioned in December of 1927, and along with the Saratoga and the USS Langley, she helped codify the way the US Navy's way of operating aircraft carriers. She served until May 8th, 1942, when she was sunk during the Battle of the Coral Sea. Of course we don't have any pictures of the ship in its entirety... or even any of the hull as of yet... but it's still early days, those are assuredly coming. They've already found seven TBD Devastators there on the bottom of the ocean, floated off or blown off the flight deck once the carrier went down. Seven Devastators... and at least one Wildcat. Considering how long this F4F-3 has been on the ocean bottom, it really isn't in that bad of condition. More pics from the find can be found at Allen's website. Awfully cool, this. There will almost certainly be a video tour of the carrier soon, by the way... hopefully at some time where I can stay up and watch it! The whole world is familiar with what happened to the USS Arizona at Pearl Harbor that fateful day in December of 1941. In remembrance of that tragic loss, a touching memorial was built over the sunken remains, and is a tourist attraction unlike any other perhaps in the world. 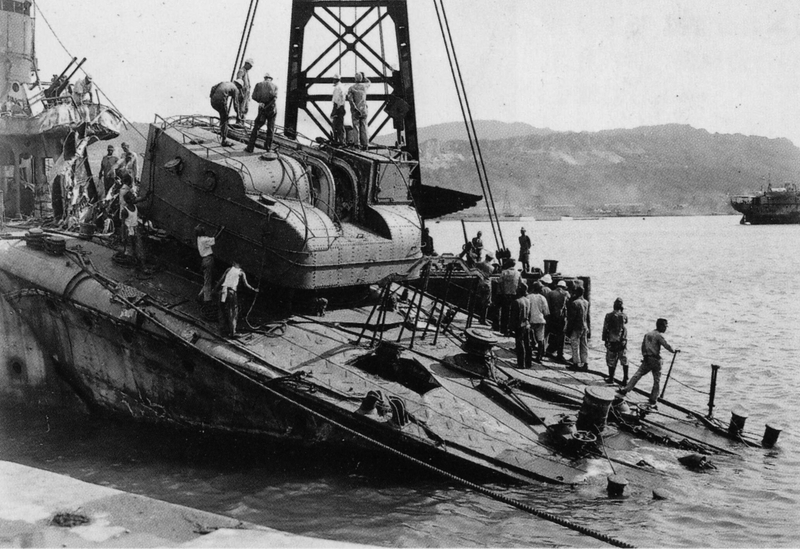 In 1941, the USS Utah was no longer a glamorous ship. Once a Dreadnought era Florida-class battleship, in 1931 she was converted to a radio-controlled target vessel (AG-16), both her main and secondary batteries removed, and her torpedo bulges shaved off the hull. In 1935 she was given a the new assignment of anti-aircraft training. To which end, she was given an ever-changing collection of AA guns, from .50cal machineguns all the way up to the famous 5"/38 dual-purpose gun. It was in this duty that she was at Pearl Harbor on Dec 7th, 1941. Moored in a position normally used for the US Navy's aircraft carriers, torpedo planes from the Japanese carrier Soryu closed in on her. While the squadron leader waved the run off, correctly identifying the Utah as not worth attacking, six planes did not get the message and dropped on her. Of these six torpedoes, two hit the seriously unprotected vessel which immediately began to list . Some 12 minutes after the attack on her began, she rolled over onto her port side and settled to the bottom of the harbor. Some years later, an attempt to salvage her was made, but was unsuccessful. It was decided to leave the hulk where it lay. A small memorial plaque was placed in 1950, and a larger memorial erected in 1972, seen to the right in this picture. Only those with a military ID can visit, and like the Arizona Memorial, it is considered a war grave as the ship still holds the remains of 58 crewmen killed on Dec 7th, 1941. She's not as well-remembered as the Arizona; she was neither as glamorous or her loss as dramatic. She is still one of a perishingly few remaining touchpoints for the events of the day that began the Pacific War. In many ways, she deserves better. 1 Huh. You learn something new every day. I'm guessing that either more or fewer torps dropped on the Utah would've made basically no change in what came after, but still. She took enemy hits meant for other vessels, that's gotta count for something. 2 A single torpedo hit may have been survivable. Emphasis on "may". She did not have what you'd think of as a full compliment of men onboard for a ship that size, only around 500. For a ship basically unprotected against torpedo damage, they might have been able to save her if she'd only taken one. The ship had just come off an advanced gunnery training cruise, so she was about as ready for action as she could be, I suppose... not like she was having major internal repairs or something. Anything more than the two she received... well, she capsized in 12 minutes. It's hard to imagine her going over any FASTER, even with more hits. The Marines, gathered at the stern of the troop transport, directed their attention to the weatherbeaten sergeant. Some distance away, the big guns of the Colorado threw 16" shells at a small piece of land in a very large ocean. "All right. Someone up the chain screwed the pooch. There ain't no tide today, so the landing craft can't get over the reef." Someone piped up with a lighthearted tone in his voice: "So we're going home, right?" The sergeant rolled his eyes. "Yeah, Jenkins, we're going home. The war is over. We won. And it was all because of you." The gathered group of men laughed, but there was an audible tightness to it. "Nah, we ain't that lucky. We're going in on the alligators." A muted reaction from the men told what they thought of this... the LVTs might well be able to climb over the reef and carry them right to the beach, but on the other hand they had no armor and were slow in the water. "Any questions?" The men burst out with the traditional "OORAH!" as they moved to the ship's rail... all but one of them. That one Marine joined in with a loud, clear "QUACK!" The target was Tarawa. And Siwash was going to war. Post contains 771 words, total size 6 kb. 1 That is a wild story through and through. Devil Duck, indeed. No, I don't understand my title either. Are you sure you only have to work a mere five hours of overtime this week? Another thing I did at Otakon was to watch one of the two US premiere showings of In This Corner of the World - the movie started its' US run that weekend. I highly recommend it - this film was the movie that kept Your Name from winning the top award for animation in Japan. One thing that was immediately apparent was that when the production staff said they had tried to keep as much of the setting (Mostly in Kure, but also some shots of Hiroshima.) as close as possible to recollections and old photos, they were telling the truth. From a military buff's perspective, that includes the Japanese warships at Kure. You know the classic photo of Aoba bottomed-out, listing, and with her stern blown off? They reproduced that almost exactly. Same with Amagi. Also, as far as I have been able to tell, the dates they showed on-screen when Task Force 58/38 raided Kure, as well as when the B-29 raid, all were accurate. 2 CXT, according to the caption I saw for the pic, it was a B-29 recon photo from April 1945. If it's not the photo you had in mind, well, I dunno what to tell ya. 3 I saw In This Corner of the World at my local(ish) art school theater tonight, and I'll be damned if they didn't reproduce that exact recon photo in animated form. I second CXT's recommendation; it's definitely worth seeing. Also the sound design was as outstanding as the visual. As usual, no image searching. I can't stop you from doing it, but you'll have to live with it on your conscience forever. As is also usual, CTX and FDM are on the leash until I let 'em at it. You get one guess, and one guess only, so make it count. Winners are determined by me, my decision is final, so don't push it, 'k? The winner gets his or her very own blog post on a topic of their choosing (exceptions: pr0n, politics, and religion). This one might be easy, but we'll see. Good luck! 1 That's either a set from Water World, or the concrete battleship in Manila bay. 2 I expected someone to post the answer by now. I figured it out, but I also checked my answer to see if I was right. I don't ever *know* any of these, or even have a good idea...I just use details in the picture to try to figure out what they are. This time it worked. 4 Oh! I wanted to give people who know more than I the opportunity, since I checked my work against the internet. It's the Petropavlovsk, later renamed Marat. It was a real ship, and and also a real rock (sort of). It was struck as Volkhov, to finish out her official names. My research was based on "That's at least parts of a late-19th Century; maybe very-early-20th Century, very large ship; so likely a battleship. That also appears to be a rock. What battleships became rocks?" That's a very short list. 5 I know the answer too, but only because of some non-naval background that gives me an unexpected advantage -- only in relation to this specific ship. 6 We've got a winner! And, unless my memory fails me, a first-time winner to boot! You get a post, Ben. Lemme know what you want when you figure it out. 7 Speaking of prize posts: back on March 2nd, in "Why A Duck: The Story Of An Obsession In Five Acts, Act I." you ended with "Next time, Act II and more."... and then went silent. 8 That should be taken as neither an accusation nor a demand, btw. But I would love the read more, and it seemed you enjoyed writing that first part. Over at reddit, there's a certain community called "askhistorians", where history questions are given serious answers by professional historians or knowledgeable amateurs. The most prolific and responsible responders become "flaired users", considered the go-to people on their particular specialties. If a flaired user is answering a question in their specialty, there's a very good chance indeed that they know what they're talking about. I'm lucky enough to have convinced people that I know what I'm talking about and earned my flair ("Pacific Theater - World War 2") back during the unemployment time. 1) Grandfather was Dutch, living in the East Indies. 2) We had his name. 3) He had to have been held near Hiroshima or Nagasaki. It was unsurprising to me that there was information about Japan's POW camps on the 'web. What did surprise me was that one of the best sites was from Japan itself. And oh my, it had a list of every POW camp on Japanese soil, broken out by location of the administrative center. And what do you know? Both Hiroshima and Fukuoka, which is just north of Nagasaki, were admin centers for POW camp networks. A quick perusal of nationalities held in the Hiroshima camps made it clear that Grandpa was likely held in a Fukuoka camp: at war's end, only 500 Dutch nationals were held near Hiroshima, while around 3700 were in the vicinity of Nagasaki. So it was possible that Grandpa could have been in the vicinity of one of the bombs. I was almost ready to call it a night, when I hit a gold mine of information. This site was devoted to Allied POWS in Japanese hands, both in Japan and elsewhere. And there, in the middle of a cluttered index page, was a jewel beyond compare: the POW rosters of each Fukuoka camp at the time they were liberated. Better still, they were official records, pdf'd from the National Archives and Records Administration. There were some 20 or so reports, one for each camp. As is my wont on any sort of project like this, I started from the back... and after about ten or 15 minutes of searching, I opened the roster for Fukuoka Camp #23, which held mostly Dutch prisoners. I quickly jumped to the correct initial and started looking. And then, about two hours after I had read the original question, I found him. To say I was excited would something of an understatement. He really could have seen the bomb over Nagasaki! I posted my findings, then started phase II of the search: trying to find where Camp 23 was located. This took no time at all. On another page of the site with Camp #23's roster were photographs of each camp, whatever was available. For #23, there was only one... a remarkably sharp aerial shot. And there at the top was the lat/long of where the pic was taken... a quick wrestle with Googlemaps, cursed be its name, got me to where I was looking. The red star was the rough location of Fukuoka #23, some 54 miles from Nagasaki as the crow flies. The only thing was that Mt Tara was directly between the two points, but as it turns out it's only just barely a mountain, measuring in at just over 1000m in height. The Nagasaki bomb exploded around 500m over the city. After all the searching, I pretty much had the answer. Grandpa probably didn't see the flash of the detonation, but certainly could have seen the smoke cloud, and probably heard something of the explosion. Satisfied, I finished updating my post and took a nap. When I woke up this morning, it was to an inbox filled with comments, a notification that someone had given me a month of "reddit gold", and the revelation that my comment had been linked to by reddit's "best of" page... and one more thing. Another reddit user found Grandpa's name in the lists for another Fukuoka camp, #14... which was less than two kilometers from Ground Zero. It was totally destroyed by the blast, with seven POW deaths. Despite this, Camp #14 stayed in operation until it was liberated in September. I did some quick digging and found there was no discrepancy: the report the other user found was of all POWs to have held in the camp, not the list of who was there when it was liberated. Clearly Grandpa had been moved to #23 at some time before the bomb dropped. It did, however, allow me to partially answer the OTHER part of the poster's original question: how did Grandpa get there? It turned out that most of the Dutch POWs were brought to Fukuoka #14 in April 1943, on one of the lesser-known Hell Ships, the Hawaii Maru. It only made two voyages in that role before being used as a troop transport instead. While conditions were as bad in the ship as in any other Hell Ship, remarkably few prisoners died on board. I do believe the results of my research falls into the category of "a good day's work". I'm stupidly pleased with myself, I am. Post contains 952 words, total size 6 kb. 1 Impressive work. You have good reason to be pleased with yourself! I hope the original poster regards your answer as more than simply a neat bit of info. 2 Nicely done indeed! I'd call that downtime-well-used. Kept your mind engaged, and puzzled out something that a stranger was keen to know. 3 Very impressive detective work! Also amazing that there are still sites on the internet with actual archival information. 4 Amazing story! Good work! Hiroshima does not surprise me, given that the military port of Ujina, which handled IJA troop movements, is there. 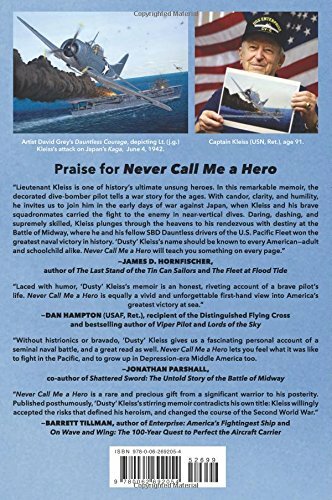 Neither does the fact that someone in Japan is hosting a information lode like that - there is a book published in Japan that had information on all the casualties of the Battle of Midway, on both sides, right down to the home towns. 6 Nice bit of work indeed! As for whether he saw the flash, I find this plausible. Light bounces off of things in addition to being absorbed, and that was a lot of light -- sudden unexpected light from an odd direction. The "day the sun rose twice" at the Trinity test (higher yield, but much closer to the ground) drew notice much further away than 54 miles. Aboveground tests at the Nevada Test Site, near Las Vegas in southern Nevada, could sometimes be observed from Los Angeles or even the Bay Area (e.g., these LA photos of the 29-kT Apple 2 test, famed for the surreal pictures of a fake town getting blown away) and were a famous public spectacle in Vegas itself, 65 miles away. I find myself in a state of peace, for I have seen the dirigible and therefore all is right with the world. Farewell, sweet airship with a rigid structure covered by an outer skin... until the next time I play the World of Warships map named "Polar." And you, my readers, may you be fortunate enough to see your own dirigible. 1 Poor Tachibana hasn't been out in a while. That's about the only ship I have left that would see Polar. I was highly amused to outpace the decorative patrol aircraft on Fault Line in the speedy Colorado. 2 That's the Italia - did it crash during your game session, or disappear outside the map boundaries? 3 Neither, Siergen. It floats around the map for the entire match, often out of bounds. There is also a trio of seaplanes involved, too. This was actually the first time I thought to get screenshots of the DIRIGIBLE! during a match. I got a free port slot from a supercontainer, so I immediately began to grind up the Japanese battleship line... and my brand spankin' new Kawachi ate a full load of torps from a Russian destroyer at short range, just before it died from fire. But afterwards? It was DIRIGIBLE TIME! 4 I really love the God Mode camera. It's just too bad you have to die first to use it. Since the new version launched, I've only had my Zuiho out. I haven't even re-skilled my other commanders yet. But I'm doing REALLY well with it. 5 Coming next: World of Airships! Sign me up! The touches they put on their maps are extraordinary. The settlements, towns, buildings, radio towers, fortifications, and so on are amazing. If one looks really closely, they might not scale correctly, but they make it so much more interesting than fighting in an empty ocean with only distant land masses in view (if any). Speaking of non-empty oceans, I ran aground last night on a sandbar that barely broke the surface, and couldn't be seen on the mini-map. It was not my most expensive mistake in the game, but it was painful. Definitely in a slump right now. As always, no image searching is allowed... I can't keep you from doing it, but what good is an unearned victory? CTX and FDM are not allowed to guess (or leave hints) until I let them off the leash. You get ONE guess, so make it count. The winner (as declared by me, and my decision is final) will get a post of their very own about anything they want (no pr0n, politics or religion, however) within reason. Don't just sit there, get to guessing! 1. To start, it looks like it might be, or based off of, a destroyer. The rounded tower is indicative of IJN destroyers, and indeed if I bring up the WoWs tech tree and look at Akakutsi, it's a very close match, except for the weird bow. 2. Akakutsi is just an upgunned Fubuki. IJN Hibiki is a Fubuki class that took a torpedo to the bow, was turned into a guard ship, and then taken by the russians after the war and further re-gunned. Given that the fore turret looks pretty standard except for the mounting, it might still be Hibiki in the guard ship phase. 2 Well, crepe. I thought that would take at least two guesses. This is indeed the Hibiki. She's in a mobile drydock while she's fitted with a temporary bow after that torpedo hit David mentioned. Okay, name your prize, Mr Winner-Is-You! 3 And now I'm on the spot of trying to come up with an ask that is interesting, but not too onerous. Have you done a "why rubber ducks" post? If not, do that. Otherwise, pick a ship or battle that interests you and that you haven't written about before. 4 Now that the answer is sitting there...well, I still wouldn't have got the question right; I don't know things like that...but it's surprising how recognizable the features of the ship are. 98kb generated in CPU 0.16, elapsed 0.3999 seconds. 56 queries taking 0.2812 seconds, 253 records returned.